From simple carton flow to complex deep-lane pallet flow & pick modules, we’ll design your ideal custom solution. Cart-Trak’s full-width roller carton flow is a heavy-duty, abuse-resistant system providing full carton coverage and superior flow for cartons or totes of consistent size. 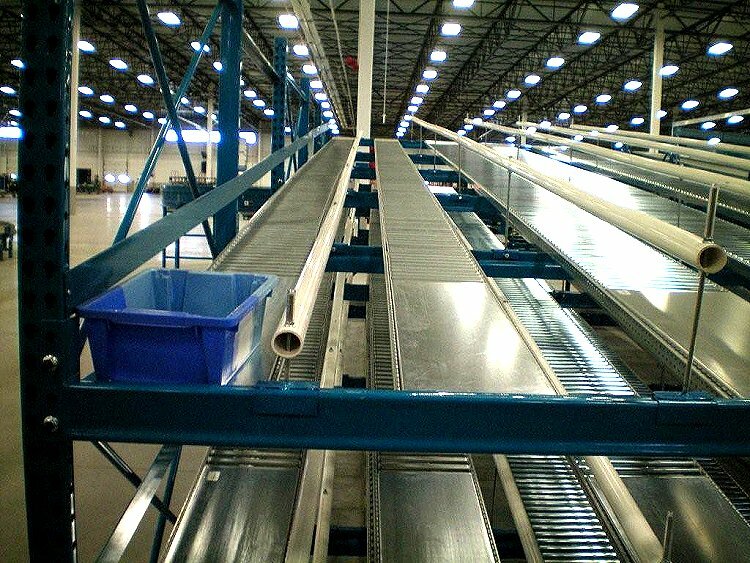 Cart-Trak is galvanized and designed to easily drop into existing pallet rack. It is durable for the demands of heavy loads and yet, the full carton coverage is often exactly what is needed in lightweight applications. Choosing the right carton flow is all about the cartons or totes and the Mallard team can help you select what is best for your needs. Note: Always Test – Cart-Trak with bearing rollers should be tested for your application and cartons to determine optimal pitch and roller spacing. Let the Mallard gravity flow experts design just the right system for your needs and your budget. We do all our system testing right in our in-house facility, so we can ensure your gravity flow solution is optimized to your exact specifications. 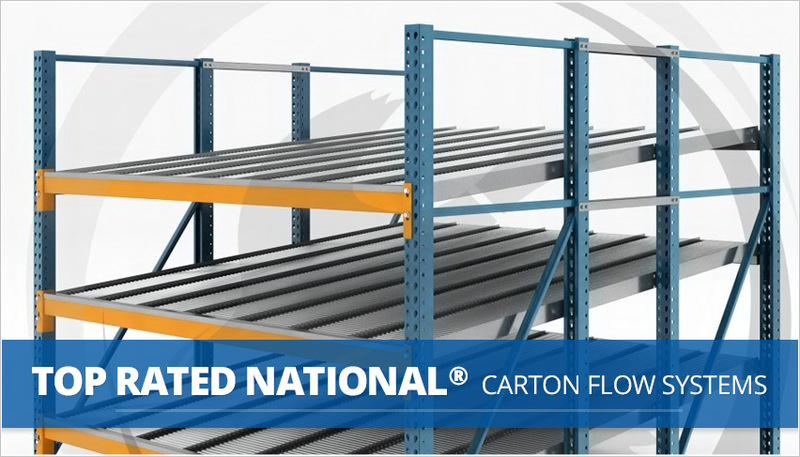 Depending on your inventory specifications, there are several unique and customizable carton flow accessories that can enhance the functionality of this system. Full-length lane dividers are optional accessories that will help keep inventory tidy in the lane and aide in quickly identifying SKUs for picking and replenishing. Impact trays can be added to the load-end of the lane to protect the rollers from the repeated abuse of loading heavy cartons or totes. In addition, tilt trays are available to attach to the pick-end of the lane to provide a more ergonomic picking process and improve product pick-face visibility. Impact trays and tilt trays are customized to fit your specific carton flow application.